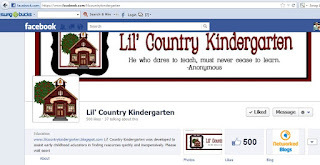 Lil Country Librarian: 500 Fabulous Facebook Fans! It's time for a Giveaway! 500 Fabulous Facebook Fans! It's time for a Giveaway! I'm so excited! I just happened to check my Facebook Fan Page and noticed that I had reached 500 fans! What better way to celebrate than with a giveaway! I'm thrilled to have each and every one of you as blog readers, Facebook fans or both! I am always humbled by the fact that even one person reads my blog. :) Truly! 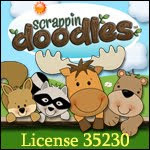 I'm giving two lucky winners the chance to win a $10 gift certificate to Teachers pay Teachers! Thanks to everyone who entered! The giveaway winners were Kate S. and Sandra M.! Thank you! I'm so glad you're a Facebook fan!